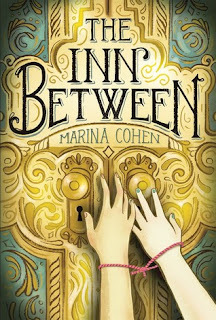 The Inn Between is a clever, mysterious journey through a hotel full of secrets. At the heart is Quinn, a girl with regrets in her heart, and as time passes she knows that something is going on. But will they be able to escape with everyone? Quinn's looking for some time to herself. After the disappearance of her younger sister, she needs to get away from her parents. Parents who see her as a disappointment. Parents she feels that she's let down. She doesn't want things to change, and with Kara moving over the summer, she won't have anyone close that she can share things with any more. But then Kara's parents drive their van up to the Inn Between, a sudden paradise in the middle of the desert, and Quinn wonders if it's too good to be true. There's a haunting, mysterious tone to the book that doesn't let up. Even at the beginning, Quinn is a bit absentminded, her thoughts somewhere else. Thinking about Emma. Then her thoughts turn to the people in the hotel. The suspiciously friendly woman behind the front desk. The couple with the little girl in the restaurant who think it's far too hot. The sad man in the baseball cap. They're only seen in glimpses, pieces, as Quinn and Kara try to uncover the truth about the Inn Between, about the reason why Kara's family was suddenly gone the next morning. This definitely edges towards the creepier side of middle grade, which in its own way was refreshing to read. Sometimes there are ghost stories, stories like this book and Holly Black's Doll Bones, and they can delight as much as others. I was intrigued as I read this, following Quinn and Kara along as they searched for answers, as they wondered where they were and what was going to happen to them. I would definitely recommend this to those looking for some haunted middle grade. This does sound like an interesting MG read, I like the sound of the hotel and the creepiness of it. Hallways that twist back and all that sounds fun. :) Plus the cover is good too!